Super stylish one bedroom flat located in the city centre - 2 mins walks to Merchant City and Glasgow Green. This bijou one bedroom flat is offered to the rental market in fantastic order throughout with stylish furnishings and fittings throughout. It comprises entrance hallway, large storage cupboard, bathroom with shower, bedroom and living room with kitchen off. The living space has highly polished tiled flooring, quality sofas, high level dining table leading through to stunning kitchen with gloss units and low level lighting feature and integrated appliances. 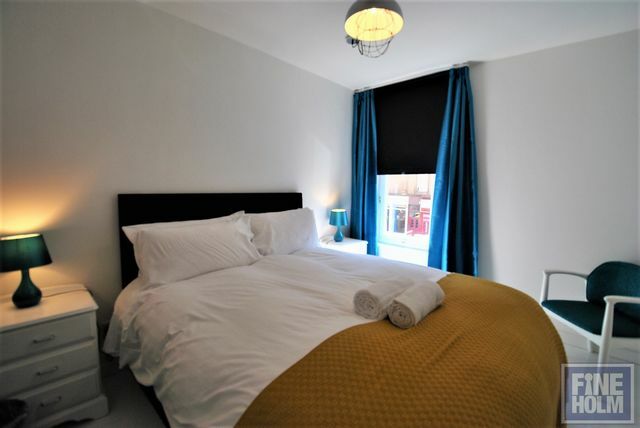 The bedroom has an opulent feel - this is a really lovely flat to call home! Residents parking ( non allocated - so first come first serve basis) Secure entry.